Powerful product, country, and functional silos are jeopardizing companies' marketing efforts. Because of silos, firms misallocate resources, send inconsistent messages to the marketplace, and fail to leverage scale economies and successes - all of which can threaten a company''s survival. 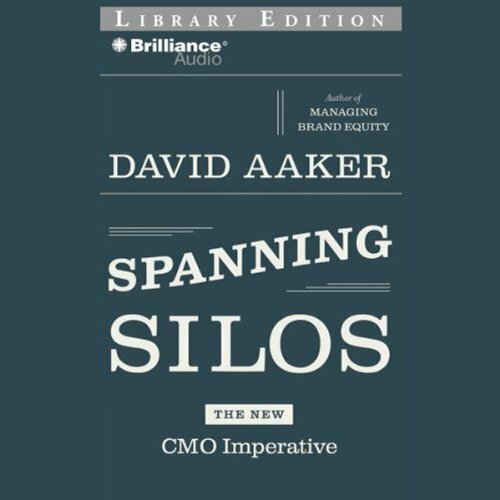 As David Aaker shows in Spanning Silos, the unfettered decentralization that produces silos is no longer feasible in today's marketplace. It's up to chief marketing officers to break down silo walls to foster cooperation and synergy. In this age of dynamic markets, new media, and globalization, getting the different parts of your organization to collaborate is more critical - and more difficult - than ever. This audiobook gives you the road map you need to accomplish that feat.